UUC * the Evo3 SSK difference! The original "short and sweet" - accept no substitutes. Nothing that can make every drive more satisfying like the "snick-snick" feeling of a precision shifter. 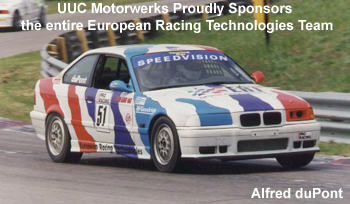 Too bad BMWs are not known for that, and that is where UUC Motorwerks steps in. There is a reason UUC's short shifter for BMWs has been acclaimed as "the best at any price" in a major enthusiast's magazine, and why it is the single choice for competitors in Speedvision's Touring Car, CCA, and Grand Am race series. The UUC Ultimate Short Shifter is unique, completely different than anything else available. Our design starts with the finest materials: T-304 stainless steel, T-6061 aircraft-grade aluminum, precision bearings, self-adjusting and lubricating primary pivot bearing, and the finest-grade silicone vibration absorbing material. Our products are not modified BMW components, and they are not "one size fits all" as with lesser offerings. In the interest of continually improving our product, we are always developing and testing modifications intended to bring "ultimate" to higher levels. With that in mind, our latest generation brings the BMW shifter to a new level of smoothness and minimized shift effort. height adjustment via upper-section length change (this does not change linkage geometry like moving-ball designs). flex and rotation-free lever construction with full-length vibration-absorbing bushing. linkage geometry perfectly corrected, with self-adjusting primary pivot bearing that permanently retains lubrication and precision (some models). zero-tolerance lower pivot bearings that never require lubrication and eliminate significant mechanism friction. 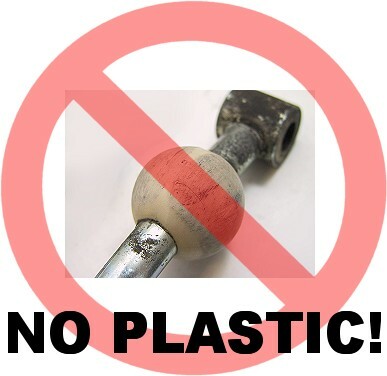 These do not wear or ovalize like solid-metal or plastic designs with expanding tolerances. UUC's in-house manufacturing tolerances are "mil spec" using the latest CAM-controlled machining and milling equipment. Our ongoing dedication to quality and ultimate precision would tolerate nothing less. UUC technical support and customer service is available by phone during business hours, and often by e-mail after hours. No matter what the question or issue, we guarantee a satisfactory outcome. The BMW enthusiast who can make a sophisticated decision chooses UUC. Your BMW's original shifter - major compromises. Are you unhappy with your BMW's original shifter? If so, is it because the feel is mushy, the throws sloppy, and "precision" is entirely absentt? Of course those are the reasons. The shifter that BMW uses is simply not a precision part, no matter if it's a 316ti or Z8. Not just a short shifter. By using in-house professional engineering staff and outside materials and manufacturing experts, our ever-growing line of BMW shifters addresses each and every "compromise" of the shifter system. The enhanced precision, direct feel, and super-smooth action cannot be duplicated by any means other than our sort of our precision assembly. How do we do this? 100% stainless steel, machined to exacting tolerances for a flex-free lever. Lower pivot point enhanced with standard stainless steel bearings. Primary pivot equipped with self-adjusting bearing mechanism that retains lubrication. Delrin carrier bushings that eliminate carrier movement. Precise calculations of linkage geometry and ergonomic placement (correct shifter position). you have durability and precision beyond your expectations. 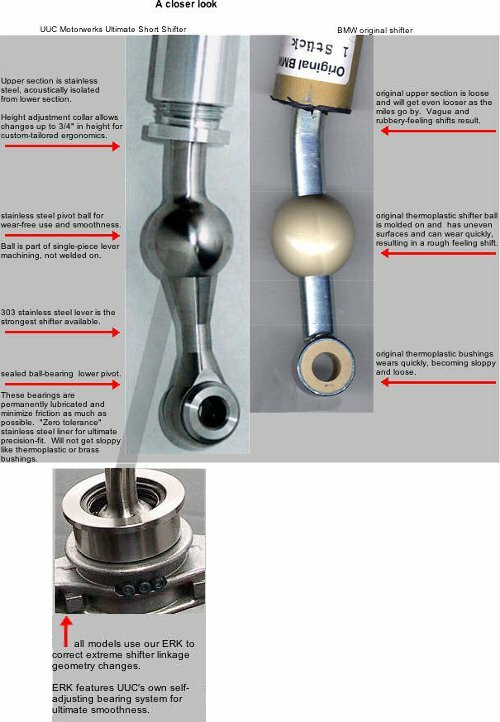 Anybody can make a "short shifter"... or can they? We know there are a variety of other "short shifter" products available for your BMW. Some are decent products (although UUC is still rated the best), and some are rather disappointing. Is price a factor? Sure is, unless you have an unlimited budget. But is price the only factor? No - if it were, we doubt you would have purchased a BMW, as you are obviously sophisticated enough to appreciate quality. We feel that shifter alternatives involving modified factory parts are inherently an inferior choice... remember the reasons above why you are unhappy with your BMW's original shifter? Any factory part-derived shifter will inherently develop the same mushiness, slop, and imprecision very quickly. Various "knockoffs" of the UUC product pretend they're the same thing, but sneak in the shift lever from another model BMW... but we know there's only one Ultimate Short Shifter, only from UUC Motorwerks, where we present an "unlimited budget" quality product at a reasonable price.